Perhaps you have been considering taking the next step and are toying with the idea about trying a professional astrology reading or as they say having your chart done. If it is your first time consulting an astrologer you probably don’t know exactly what to expect from an interpretation You do not know what he or she can actually do for you. You may be nervous and wary of what could be revealed in the session. Remember that ghastly episode in the eighth grade? Being apprehensive of new experiences is a completely natural reaction. Your friends may have had a reading before and can no doubt tell long tales about their experiences. But what about what the astrologer expects from you? If you want to get the most from your first meeting with your astrologer here are a few points to consider. Your astrologer requests your time of birth so they can set up a personalized chart which is unique to you based on the time you have given. Birth times of 5 p.m. are highly suspect because it was more likely to have been 4:55 p.m. or 5:02 p.m. in reality. An ideal birth time is the one that is captured when the newborn takes in their first breath. The infant thus inhales the potentials of the universe at that precise moment. It is important for those expecting or planning to have children in the future to get the birth time, at least to the minute if not to the second. One day that child may seek out an astrologer and knowing their correct birth time will be important for them. If you don’t do anything else for your child get the birth time. You can sometimes glean your birth time from your mother and some birth certificates have it or reference a baby book. If you do not know for sure please don’t guess either. You may think that any time is better than none, or that you have to have a birth time for your astrologer to do your chart are both incorrect. The reality is there is so much going on during a child’s birth that if the time is not noted and written down then it really is up to memory. Being in a labor ward with strange nurses that you have just met attending to very intimate details of your person is an extremely stressful time. Your astrologer would rather hear “My mother thinks I was born in the afternoon sometime after lunch but before supper.” With this information he or she can accommodate the wide time given and adjust his or her interpretations to suit. When you provide a birth time of “Sometime after lunch” your astrologer will compensate for the lack of a precise time and construct your chart accordingly. This practice benefits you and your astrologer. You will receive a better reading and your astrologer can give you a better interpretation. This may seem like the same thing but it isn’t. Your reading becomes pertinent and you are likely to perceive your astrologer as being competent, caring and insightful. The face-to-face relationship between client and astrologer usually starts with a one hour session. This may go over to the one and a half hour mark and even in some cases to two hours at a stretch. But usually one hour is all the information that you, as a client, can appreciate and absorb during the first appointment. Your astrologer will ask you if there is anything particular they need to focus on with the initial reading and this is your opportunity to get the most out of your meeting. If you really want to zoom in on your love life, say so, when you book the appointment. Otherwise you may be distracted and not listening to all the upcoming pressing career issues that your astrologer is explaining because they know what is coming up for you through the transits and other forecasting techniques. If you have an immediate concern it makes sense to mention it first, ideally when you make the booking. You may think your astrologer will know already but not all of us are mind readers. This is really common courtesy. Phone up and make an appointment to see your astrologer. No one appreciates being ambushed on a Saturday afternoon with your pressing problems. 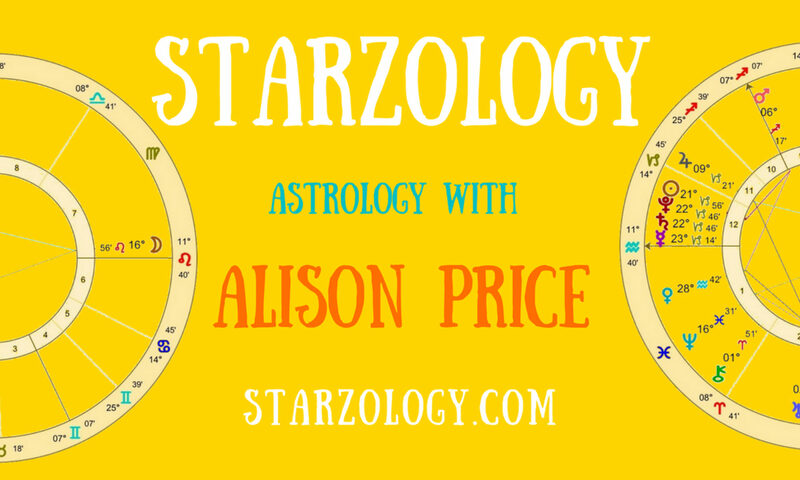 By having a future meeting time your astrologer can carefully prepare your personalized charts and diagrams. They can thoughtfully contemplate all the current planetary conditions and the possible impact on your life. They can prepare themselves perhaps with meditation or breathing techniques which will result in presenting a confident and meaningful consultation. For your astrologer, giving of themselves during a consultation is very often psychically draining, particularly if there are difficult issues to be addressed in the session. One painful area that comes to mind is bereavement. Death of a loved one can provoke both sadness and relief rolled into one. Grieving is not an easy period in anyone’s life. For your astrologer to help you navigate these dark days, weeks or months they have to give the gift of themselves psychically to you. Are you a serial client? One who goes from one practitioner to the next seeking the answers that seem so elusive? There is no problem in hearing a second opinion and certainly you need to find an astrologer with whom you resonate. That being said, please resist running down your last astrologer in the first sentence out of your mouth to your present astrologer. He or she will immediately become wary of you and can only guess at your upcoming comments about them in your future consultant’s office. Some clients prefer not to have it known that they are consulting with an astrologer. The reasoning here takes many forms. Astrologers understand that discretion is the better part of valour. We realise that some things are best left unsaid and if you wish to be discreet then you have come to the right place. There is not an astrologer that I know who will openly discuss their client’s charts, data or issues in general conversation amongst other astrologers. If you can honestly speak highly of your astrologer then you will be more comfortable referring your friends and family to them. By confidently singing their praises (which is what most practitioners want) it is good for business and good for astrology. For those of you who love your astrologer it’s time to step-up and recommend them. Tell your friends about the confidence you have. Explain how helpful working together with your astrologer has been for you. You don’t need to get into details and the nitty-gritty of your life. Tell interested people you know to mention your name when they call for an appointment, trust me, your astrologer will appreciate your referrals. In the unlikely event that you are disappointed with the service from your astrologer you need to tell him or her directly. There is no need to be rude or cruel but just simply explain where you think he or she went wrong and give them an opportunity to relook at their work and, if acceptable to you, for the astrologer to present it again. By bringing your concerns to the attention of your astrologer you provide him or her an opportunity to re-evaluate their work. Not to do so does not help anyone. If you really feel you cannot continue your relationship then it is best to part ways. We are all living through our own charts. Getting along in life takes effort. If you have discovered an astrologer that is in tune with you and your life rhythms then keep them close. You are one of the lucky people who will have your life enriched by astrology. The fact that you are reading this article shows you have hope and believe in the future of astrology. Becoming a relevant client takes effort on your part but the payback is the huge benefit that astrology has to offer you and your life. Next PostNext Astrological Peer Review – Is It For You?